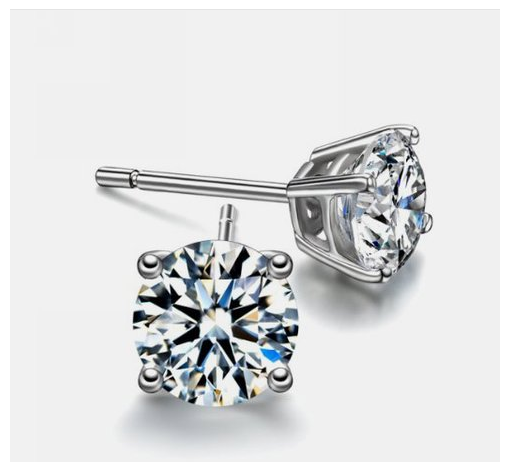 2ct Sterling Silver Round Simulated Diamond Earrings Only $5 SHIPPED (Reg. $99.99)! You are here: Home / Great Deals / 2ct Sterling Silver Round Simulated Diamond Earrings Only $5 SHIPPED (Reg. $99.99)! This HOT deal is back! Aren’t these earrings gorgeous!? Check out these 2ct Sterling Silver Round Simulated Diamond Earrings, which are only $5 SHIPPED (Reg. $99.99) right now! These dazzling brilliant-cut cubic zirconia earrings shine in a traditional setting of Sterling Silver and are sure to turn some heads!